New Caledonia is located in the South West Pacific, at approximately 1600 km off the eastern coast of Australia, just North of the Tropic of Capricorn. It constitutes the fourth largest archipelago in the South Pacific and counts a population of about 250 000 people. 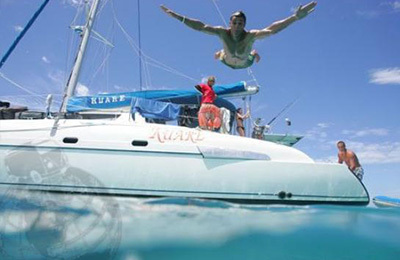 KUARE Catamaran Kite & Surf Charter - French Melanesia, New Caledonia Guests overall rating: ☆☆☆☆☆ 0 based on 0 reviews.